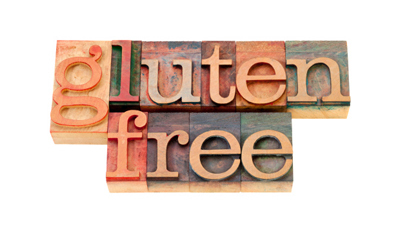 Home > Diet & Nutrition > Gluten-free Diet > Another Reason to Try a Gluten-Free Diet? Celiac disease is an autoimmune condition, meaning the body’s own immune system attacks the bowel tissue. One out of every 100 Americans is estimated to have the disease. The prime culprit in celiac disease is gluten. Gluten is found in a number of grains, including wheat, rye, oats, and barley. Gluten contains two proteins, one of which is called gliadin. When gliadin triggers the immune system to attack bowel tissue, the villi (tiny hair-like substances that absorb nutrients) that line the small intestine become damaged—sometimes irreparably. Celiac seems to be a genetic condition that is often passed from one generation to the next. A doctor can test for celiac disease by performing blood tests or an endoscopy. However, most people have a strong hunch they have celiac disease when they stop eating gluten and many of their symptoms disappear. Celiac disease can cause a lot of problems for those struggling with the condition. Abdominal pain is common, as are problems with bloating and gas. Celiac disease can cause long term problems too. Because damaged villi don’t absorb nutrients, the body can become deficient in all sorts of key vitamins, minerals, enzymes, proteins, and amino acids. This can lead to health complications such as osteoporosis and anemia. Celiacs are also more likely to develop non-Hodgkin lymphoma. Celiacs need to follow a diet to maintain their health. Many worry about the health of their bones with good reason. Research has shown that for those with celiac disease, the risk for broken bones can be much higher compared to those without the condition. Now, a new study just published in the Journal of Clinical Endocrinology & Metabolism has found that celiacs who experience damage to the intestines over the long term have an increased risk for suffering a hip fracture. However, this risk was lowered when the celiac patients ate a gluten-free diet. For their study, the research team collected intestinal tissue samples from almost 7,200 people living in Sweden. All the participants had been diagnosed with celiac disease between the years of 1969 and 2008. Each participant had a follow up biopsy within five years of being diagnosed with celiac disease. This second biopsy revealed that 42% of the participants had persistent damage to the tissues of the small intestine. For those with persistent damage, an increased risk for hip fracture was discovered over the next five years. The researchers concluded their study by addressing the importance of getting a follow up biopsy to determine the amount of tissue damage that is taking place due to celiac disease. If the biopsy shows that the tissues are not healing, then this could be a fairly accurate predictor of complications further down the road. Conversely, allowing the tissue lining the small intestine to heal by following a gluten-free diet should lower the risk for other complications such as bone fractures. Following a gluten-free diet is much easier now than it was 10 years ago. A range of gluten-free products are available in grocery stores, bakeries, and even many restaurants. Preidt, R., “Gluten-Free Diet May Help Protect Bones in People With Celiac Disease,” MedlinePlus web site, Jan. 16, 2014; http://www.nlm.nih.gov/medlineplus/news/fullstory_144082.html, last accessed Jan. 22, 2014. Lebwohl, B., et al., “Persistent Mucosal Damage and Risk of Fracture in Celiac Disease,” J Clin Endocrinol Metab. January 16, 2014: jc20133164.